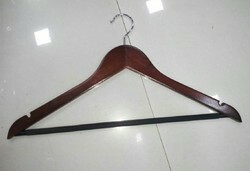 We offer a wide range of Wooden hangers, normal wooden hanger, which are highly acclaimed amongst our valuable clients for their features of good finishing, scratchproof surface, stylish, and lightweight. We also meet customized requirement for our clients benefit. 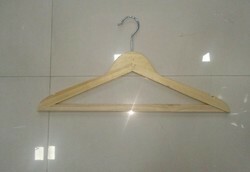 We offer a wide range of Normal Wooden Hanger to our clients based not only in India but also in Yemen and Africa. Available in a variety of patterns and sizes of 30 cm, these are known for its dimensional accuracy, durability and versatile applications. Our clients can avail these at competitive prices. 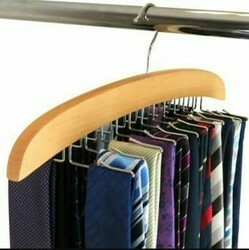 We have in store for our clients a wide range of Suit Hangers. 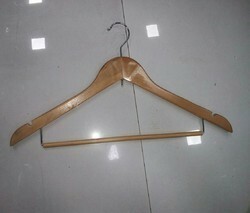 These hangers are manufactured using the high grade of raw material and are offered in various colors, shapes and sizes of 30 cm. We also meet customized requirement for our clients benefit and offer these at competitive prices. 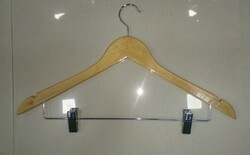 We offer Wooden Hangers that are made with quality wood and are of lightweight. 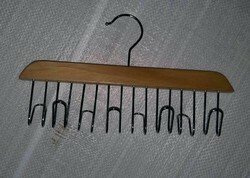 These are available in various sizes and shapes and are used in homes and stores for hanging garments. We also meet customized requirement. 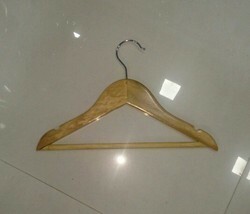 Our company is manufacturing and supplying exclusive range of wooden hangers for our clients. They are aesthetically designed and crafted in different shapes by our trustworthy artisans. 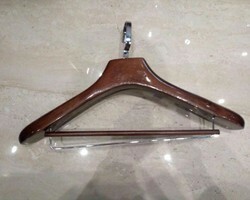 Our hangers are made from high quality material with the help of advanced technology. 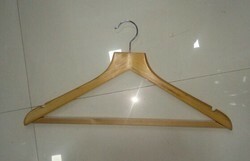 As a leading manufacturer of Wooden Hangers with high reputation, we always meet our customers' satisfaction successfully, by high quality, fashion style and best prices. 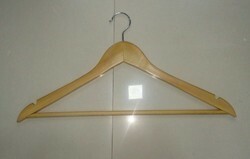 We are engaged in the manufacturing a wide gamut of superior quality wooden hangers. They are used extensively for keeping and drying clothes in numerous residential and commercial applications. These are extremely strong, stylish and offer longer functioning life. They are also used at showrooms, malls, garment stores, retail outlets and other similar sectors. We have with us an assortment of hanger stands, that are specially designed to provide perfect hanging solutions to various shops, retails and households. 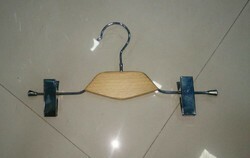 Designed with precision, these hanger stands enable the user to hang numerous apparels at a time and occupy less space. Easy to install and lightweight, these hanger stands can also be availed in custom-made designs and at most affordable rates. Our range of wooden clip hangers are made of superior quality wood, that ensures high durability standards and finest finishing. 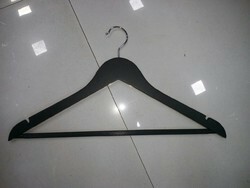 These hangers are light in weight, do not occupy space and can be easily hanged anywhere. Our range is available in multitude of colors and designs that can add elegance to the beauty of your wardrobe. Further, these are available in standard and customized options to suit the specific requirements of our clients.